With the cooler fall weather just around the corner, it’s time to start thinking about keeping warm again. 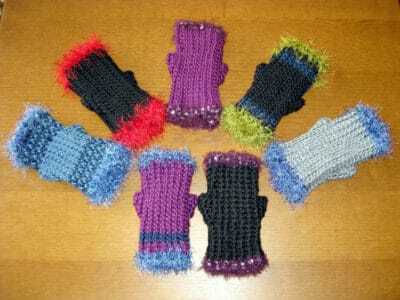 And these crochet fingerless gloves patterns are just the thing to start with. 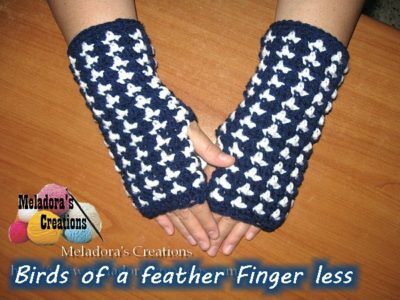 Many of these patterns work up quick and easy, so I hope that you’ll find a few pairs that you enjoy to make and wear in the upcoming cold season. 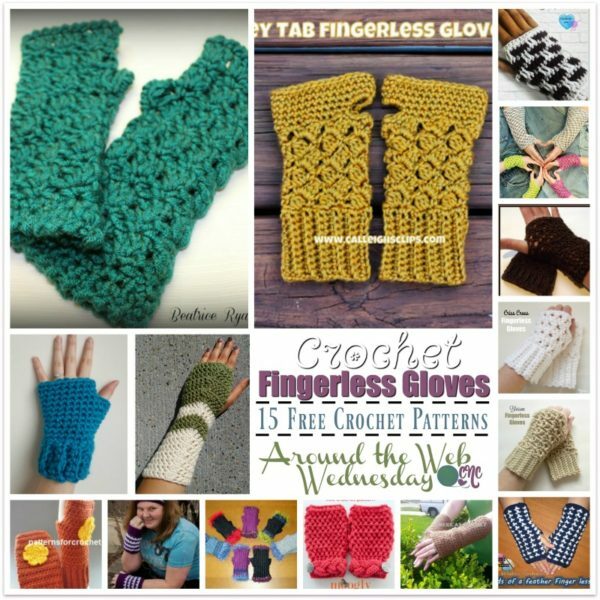 This roundup features crochet patterns for fingerless gloves to help keep you warm this fall. You might also enjoy these roundups of fall cowls, or these summer ponchos, which are also perfect for transitional weather. 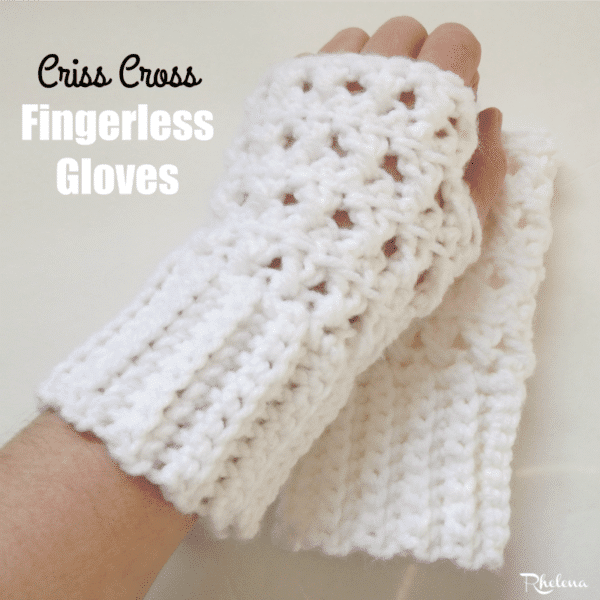 Although it looks hard to crochet fingerless gloves, it’s actually not hard to do at all. The hardest part is to make the thumbhole, but if you know how to follow a pattern then even that is easy as pie. 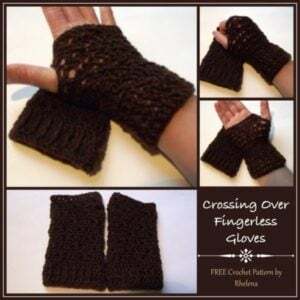 The cross stitch with a bit of ribbing along the cuffs make these gloves a hit for any occasion. They are given in a small and snug size, with instructions on how to modify for a larger size. If you love colors and ripples then these beauties are for you! Crochet them in as many or as few colors as you like and pair them up with any or all of your outfits. 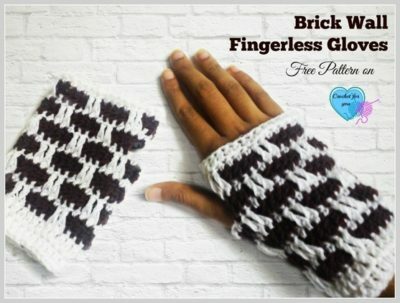 Easy, quick and cozy, makes these chunky fingerless gloves ideal for gifting to your friends and family. 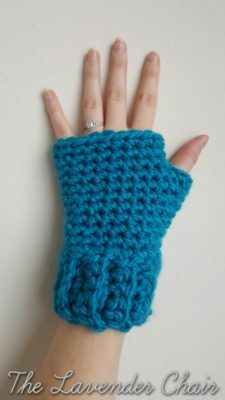 These mitts are crocheted using the ribbed stitch pattern. The stitch gives them a nice stretch, which makes them comfortable to wear for everyone. And I love the extra touch of the fun fur or eyelash yarn around the edges. 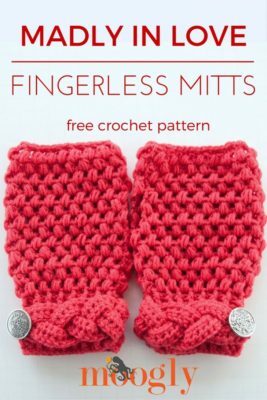 These mitts have a nice slanted stitch pattern that will look great on any pair of hands. And, you’ll also love the braided edge at the wrist. Crochet them in a white for a summer wedding, or in black to go with an elegant evening dress. This easy pattern is not only easy to crochet, but it’s also super easy to customize for any size from child to adult. 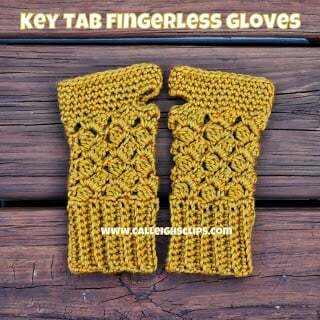 Here is another pair that you can adjust as needed to fit any pair of hands. 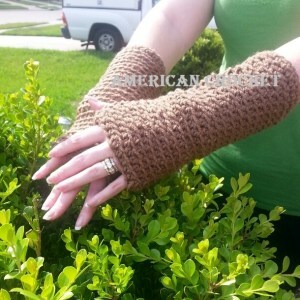 The gloves are crocheted in a super fine yarn, which makes them ideal for transitional weather. 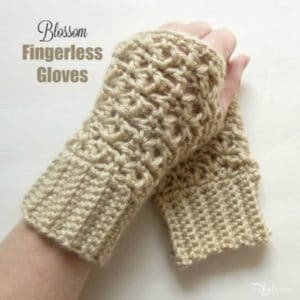 The elegant stitch pattern makes these gloves perfect for any occasion. 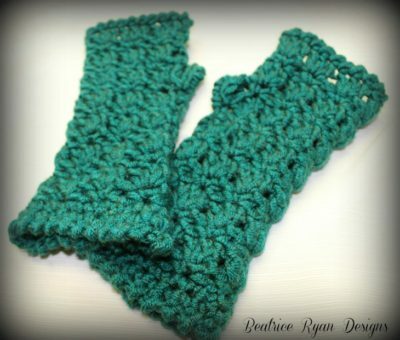 The pattern calls for a bulky yarn, which makes them quick to whip up as well. The two-toned color pattern makes it easy to match these to a number of your favorite outfits. This intermediate pattern can be adjusted in size as you like. And with a pretty stitch like this you won’t want to stop at just one pair. This cozy winter set is available in one size to fit most. It features a pretty color design on both sides of the fabric so you can wear it inside out for a whole new look. Crochet these warmers to any length that you like to match any of your favorite outfits. You will appreciate the simple ribbed design in these gloves. And the flower adds a touch of cheerfulness, but you have the option to leave it off if you like. I love the texture in these beauties! The zebra look is also super cool, but you can easily choose any two colors to suit your style. These gloves are given in a small size to fit children or extra small adults. However, the pattern does have a suggestion on how to increase for a larger size, so check it out as it’s a pattern that you’ll love for the fall and spring weather. 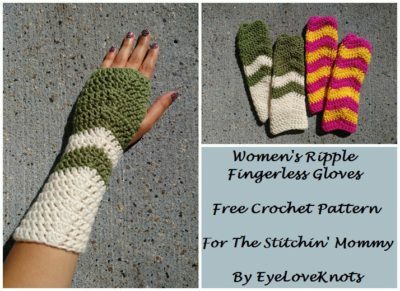 So there you have 15 free crochet fingerless gloves patterns. For an even greater collection, be sure to visit Crochet Pattern Bonanza.